Harriet Walker is an Accredited Practicing Dietitian and Accredited Sports Dietitian with a bachelor’s degree in human nutrition, diploma in leadership and management and master’s degree in nutrition and dietetics. Across five years in private practice, Harriet has worked with over 350 clients one-on-one ranging from grassroots athletes to Commonwealth Games gold medallists. Harriet has also worked within the health and fitness industry assisting private companies to develop nutrition challenges, recipe books, develop online content, content for apps and provide advice and consultation on product development. Harriet has complemented her work in the health and fitness industry with over four years working in the not-for-profit health promotion sector as a program manager promoting physical activity for children. To back up her academic and industry experience, Harriet has competed herself in several sports including flat water rowing, surf boat rowing, body building and strongman all at a national level giving her a rare insight into both sides of elite sports and performance. 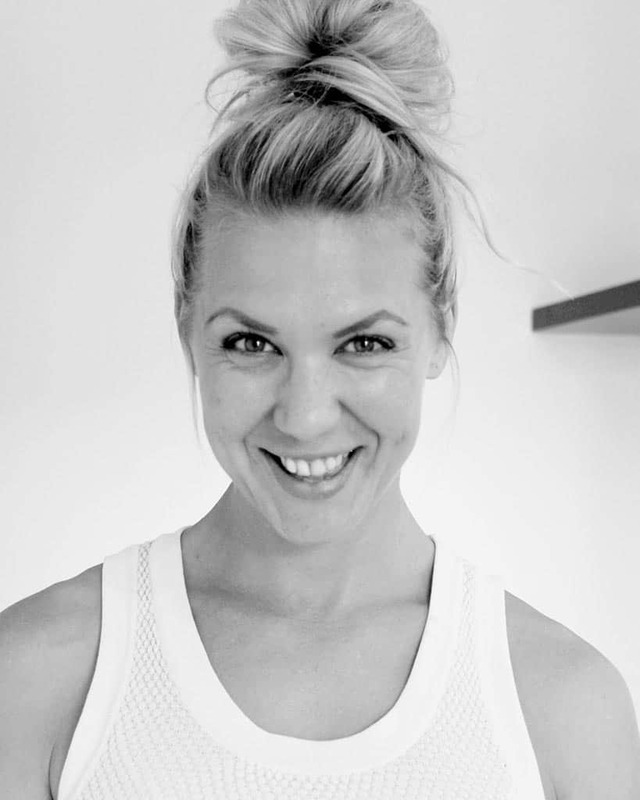 Harriet specialises in nutrition for strength sports, body composition transformation, making weight for sport, women’s health and general nutrition. Food logs or journals are a great way of checking in with yourself on what you are eating day to day. It is not intended as a way to catch you out, but a way to get a clear idea on where you might start when looking at improving your diet. To start out, choose a minimum of 3 days to log (this will include 2 weekdays and 1 weekend day). If you can track more, 7 days is optimal, as it will give you the most clear picture and accurate representation of your week on a plate. Using a nutrition-tracking app is a great way to track your daily intake and can yield useful data that is easy to analyse. When setting up an app, it will ask for you height, weight, age and goals. This information may be used to estimate a daily energy intake, as well as a recommended deficit or surplus of energy meet your physique goals. One i have my app, what do I do? This is where you can really start to get an idea of where you may be going wrong, or where you might need to seek extra help in interpreting your own nutrition data. To start, take an average of the calories you are taking in each day (including averages of carbohydrates, fats, protein and if possible, fibre). This will give you your starting number of calories from which you can adjust upwards or downwards, according to your goals. Disclaimer: Always seek professional help if you are looking at making major changes. We all have a minimum energy requirement to survive, referred to as our Basal Metabolic Rate (BMR), which is the amount of energy used after 12 hours of sleep and when fasted first thing in the morning. Before you even get out of bed your body requires a substantial amount of energy (between 1200-2500 calories plus, depending on age, gender, body composition etc.). Then we add in an activity factor on top to ensure we have enough energy to meet the demands of any exercise we might to. By tracking your data, you can establish if you are over eating or under eating. As a general rule, you should be consuming between 30 and 40 calories per kilo of body weight to maintain weight, depending on your activity level. On rest days, you might eat closer to the lower end, and for double sessions, you might aim for the upper end. If you are chronically undereating, you are impairing your body’s ability to adapt to the training, as you are not providing adequate building blocks (energy/protein) to recover from training and build lean tissue. In this case, you are unlikely to be able to give 100% in your training sessions, meaning you’ll be unable to push hard enough for your body to feel the need to respond and increase muscle mass or improve the cellular machinery associated with improved fitness. Finally, chronically under eating well below your needs can lead to over-correcting with frequent binge eating, that undoes any energy deficit you might have created. TIP:Start by taking reducing 300 to 500 calories from your current daily intake and monitor your weight and body composition in response. If you are a lean individual trying to put on muscle you will need to increase your daily calorie intake. It takes roughly 2500-3000 calories to build half a kilo of muscle. So, in order to gain lean muscle an increase of between 300-500 calories, in combination with a well-structured training program and adequate protein, will see that there is enough energy to increase lean mass. If you are trying to lose fast mass while aiming to gain muscle, you do not necessarily need to eat more as your stored excess body fat will provide any extra calories required. Instead, aim for a sustainable energy deficit of about 300 calories, just enough to lose weight but to meet protein requirements. If you are you are chronically over eating and looking to lose fat, you will need to decease calorie intake. By taking your habitual intake and reducing the intake by 300-500 calories, you will be able to achieve sustainable eating patterns that allow you to stay on track, and not get so hungry that you fall into the binge/restrict cycle. The term ‘macros’ is short hand for macronutrients. Macronutrients are carbohydrates, fats and proteins required for energy. Micronutrients are vitamins and minerals we need in smaller amounts each day to maximise good health. The first step to using macros to manage your diet is knowing how many grams of each you need each day – depending on your energy needs. While there’s no clear-cut formula, we do understand how calories between proteins, carbohydrates and fats should be consumed for optimal performance. Adequate protein intake is important to maximise muscular adaptation and maintaining and protein balance. For active people, aim for 1.5-2.5g according to calorie budget, training age and body composition goals. Start low and build up. Carbohydrates, specifically after training, improve net muscle protein balance after resistance exercise and help to fuel your best effort. The rule of thumb, especially at starting point, is to aim for 3-5g per kilo of body weight. Stick to the upper end on active days, and lower end on less active or rest days. Fat intake is not only important to cell function and vitamin absorption, but also hormonal health. Reducing fat intake too low can impact on testosterone levels in both males and females. Fat should represent approximately 25-30% of daily calorie, noting that they have almost double the energy density of protein and carbs. A very top level rule of thumb is to aim for 1-1.5g per kilo body weight. Fear not, I am here to help, with a bit of planning, it’s possible to have you Christmas cake and eat it too. Here are some hints to get you through the festive season without having to add ‘lose weight’ to your new year’s resolution list. Have a light meal before you go to parties. Like shopping, it’s best not to head out and about when you are starving as chances are you are going to make a bee line to the canapés, and at that point I’m afraid it’s all over red rover! Be a food snob. Ask yourself: Is it worth the calories? For me no food off limits, that way I have the control of what I eat and am not driven to obsession by restrictions. The key here is don’t waste your calories on crappy food! There is so much great food to be had at Christmas time, so if you’re faced with home brand fruit cake and stale samosas at an office morning tea, make the conscious decision to hold out for the good stuff. Choose your hangovers wisely. It’s likely that you are going to have your fair share of events over the next few months, but the trick is to choose your battles ahead of time. Where do you really want to let your hair down and have a few drinks? Pick a few and leave the rest to be sober Steve. May sound boring, but in the end, you have to ask yourself will the hangover be worth it? If there are friends, good food and dancing it’s likely to be a tick, so enjoy it. But keep the meaningless glasses of wine to curb social anxiety to a minimum and just keep up to date with current affairs to fuel the small talk. Make the decision to maintain your weight over summer. Deciding to lose weight this time of the year is likely to be a fruitless endeavour unfortunately and will only bruise your confidence to be able to do so. So the best way (or weigh, ha ha) is to commit to just maintaining where you are now, so come January 1, you won’t be on the back foot. Stay Hydrated and keep healthy snacks in the fridge. It is possible to do damage control before a hangover sets in and avoid wiping out a whole day to nurse your head. The old alternate a drink with water is a start and keep home free from junk food avoid late night feasts. It’s not all or nothing. Try to avoid the ‘so stuff it, I’ve already done the damage’ mind frame. You CAN do one and only one mince pie, but it has to be a part of the plan ahead of time to give yourself the chance to accept the fact. Bring a nutritious option to the table. If it’s a bring a plate kind of party, be a trend setter an experiment with a new healthy recipe- there are thousands on line, so look one up and give it a go! Keep home the safe zone. You are likely to be pelted with lollies, chocolates, sausage rolls and candy cakes at the office, but don’t fall into the trap of having that stuff in the house, until you really feel you need to, e.g. stocking up before the relatives comes. Keep the junk food to the office and sit on your hands as often as possible, so you can enjoy the really good food when it’s on offer, without the guilt. Don’t let Christmas time last until February. ‘Nuff said. It is very common for us to look at people who are ‘skinny’, such as the models in magazines, and assume they are the picture of health; however, this is not always the case. Low body weight is quite an inaccurate measure of health. One of the best predictors of health is an adequate balanced diet. It can be quite alarming to know what some people do to keep a low body weight, and it is just that- body weight. The scales do not indicate muscle mass or bone density, two highly important factors which predict positive aging. However there two ends of the scale when referring to poor eating habits. It is not just underweight people who can be malnourished. In fact, you just cannot guess how healthy someone is from looking at them. It is possible to be overweight and malnourished. It’s possible to be a little over weight, but still relatively healthier than someone of lower body weight who eats a poor diet. It’s also possible to be of a normal body weight and not be feeding your body what it needs to be functioning optimally. Cool story Hansel, but what am I trying to get at here? Feeding the body with empty poor quality calories to the point of excess, will still leave your body starving for the nutrients it needs to function properly, and likely overweight or obese. Running your body on the bare minimum for extended periods of time leaves you open for poor health too. Both groups in the end are at risk of being what we call ‘malnourished’- their bodies are starving. Malnutrition is basically an imbalance of nutrition. This could be from too much of the wrong stuff, or not enough of the right stuff. Either way you end up with a body in need and how it reacts to these deficiencies if pretty nasty. Malnutrition affects your body, your mind, your immune system and everything in between. Not feeding your body with proper nutrition from varied sources results in decreases in strength, lung function, heart function and fitness, increases depression, decreases immunity and ability to heal and even affects your body’s ability to regulate temperature. And it’s a slippery slope down into disease. If you don’t eat right, your body can’t absorb what you do eat properly and is forced to take from you stores, so the longer the poor diet/lifestyle choices go on for the more health debt you’re getting yourself into. ‘Holy bajeezuz’ I hear you say….I KNOW!! It’s just as much about what you doeat as what you don’teat. So why is there still resistance to a moderate approach to eating well? Probably because we don’t like moderate…it’s boring. And that you can buy pizzas with corn chips stuffed into the crust *palm to face*. Then there is body composition change against changes to scale weight. If you really put your mind to it, you could lose 10% of your body weight before the start of next week. And people take this blind approach to weight loss on the regular, searching for any way that gets the numbers on the scale down. But you know what you get when you undertake extreme weight loss? Disappointment. You get a big fat dose of disappointment. This is because not only is that drop on the scale probably just a reduction in total body water and stomach content, from abusing whatever weight loss tea, cleansing juice or very low calorie/carb diet you chose, but it is also likely to come right back and then some the minute you crack and dive face first into a burger and fries. And if ‘toning’ is what you are looking for, I am sorry to say that there is no amount of curtsey lunges on the stair climber, 1kg dumbbell bicep curls or long bouts of low intensity stead state training that will build the lean muscle that is the real cause of appearing toned. Lean muscle minus excess body fat is what is commonly referred to as ‘tone’ and is goal number 1 on many people fitness wish-list. And if lean muscle is what we are after, then excessive calorie deficits and diets devoid of quality protein are not going to cut it. A well planned out training program, a diet that emphasises wholefoods and 20-30g of protein at least 4 meals each day coupled with good sleep and regular doses of enjoyment are what will get you that look- ask any Victoria’s Secret Model. And the older we get, the more attention we need to pay to this stuff. The thing is, we can get away with a lot more in our younger years. Up until the age of about 30-35, our body does a really good job at buffering the abuse we throw at it. Be it inactivity, poor diet choices, chronic stress, drug and alcohol abuse or lack of sleep, our body will do the best it can to keep you going. But the problem is, disease progression starts long before you get the diagnosis. Meaning the behaviours which got you through your 20’s are not likely to cut it as you get older, so it serves you well to know how to properly feed yourself BEFORE you get the warning bells ringing in your ears. The key point in all this is that, unless you are trained to know what to look for, what you see on the outside is a unlikely to give you the full story on what’s happening inside, so it pays to invest in your health earlier and to learn what your body needs and not just make changes at the last minute, when such changes are harder to make. Being ‘healthy’ is as hard or as easy as you make it. There are a thousand choices we make each day and even if a handful of these are changed towards improving your health, you are a bit closer to good health and a bit further away from all the crappiness that poor health brings. Even just starting to think about the impact that each mouthful can make is a start. Is it adding to your overall health or is it taking away? Simple questions which may bring big results!